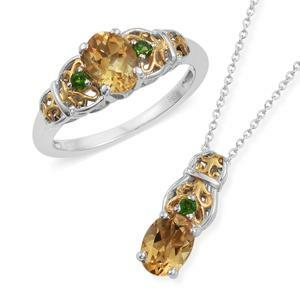 Brazilian Citrine, Russian Diopside 14K YG and Platinum Over Sterling Silver Ring (Size 5) and Pendant With Chain (20 in) TGW 2.60 cts. 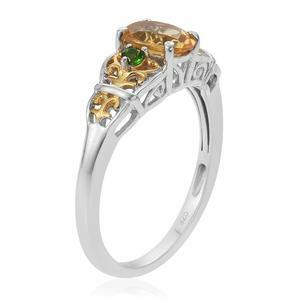 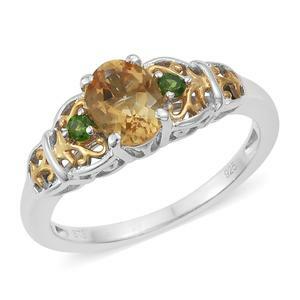 Define yourself with sophistication and elegance in company of these Brazilian citrine ring and pendant. 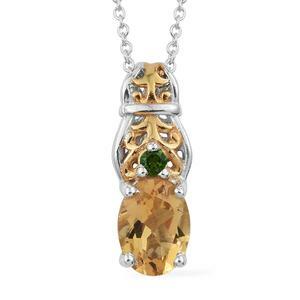 Furnished in sterling silver with 14K yellow gold and platinum overlay, the oval shaped glistering Brazilian citrine stones look exquisite and classy. Accented with small rounds of Russian diopside, the jewelry pieces have a captivating appeal. 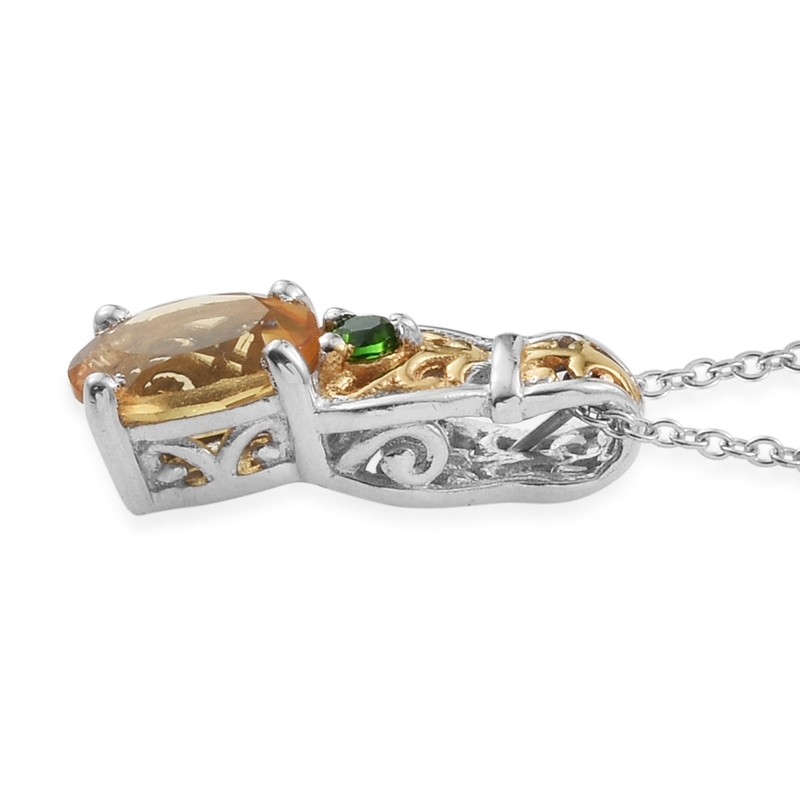 Wear the shiny ring and pendant with 20-inches matinee chain on any casual or formal attire, and win praises for your style and classic choice in jewelry.